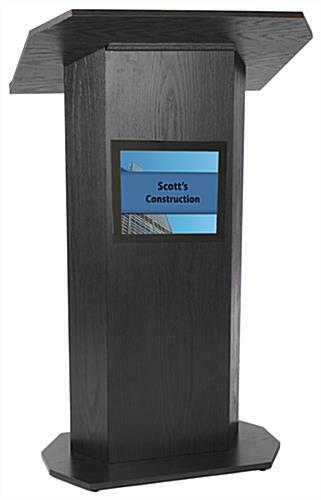 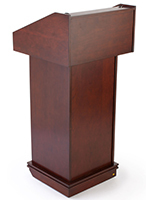 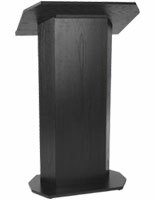 These podium and sign holders with black finish are the ideal presentation piece. 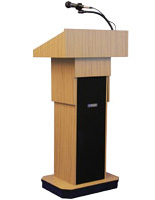 Each lightweight fixture is made from plywood and designed for easily assembly and movement. 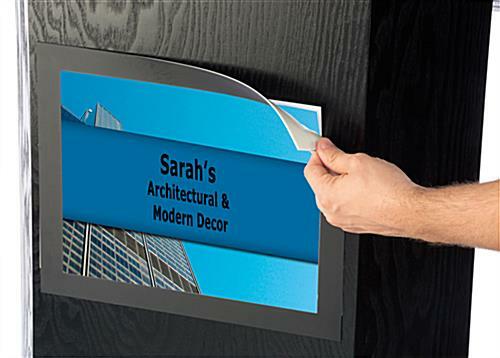 The black sign holders have an adhesive stick-on frame for one piece of 8.5" x 11" custom signage. 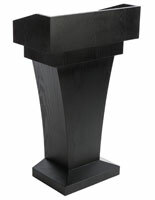 The neutral wood grain finish matches and compliments any setting or decor. 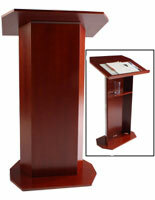 The versatile holders have rear storage to keep reading materials concealed from an audience. 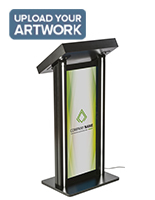 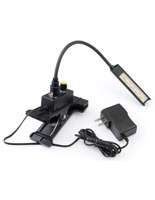 This type of economical portable fixture is perfect for office or offsite event use. 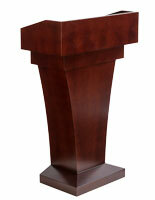 The podium came a day early & was easy to assemble. 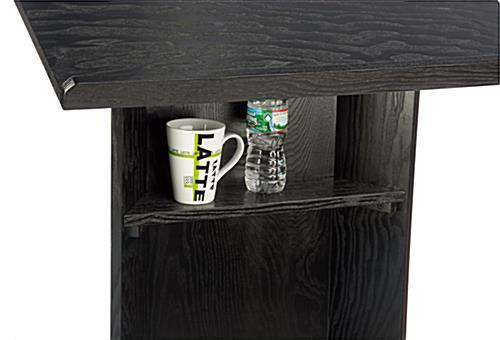 It's very sturdy & a great buy. 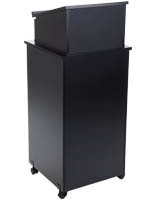 I do recommend this podium & would buy again if needed.